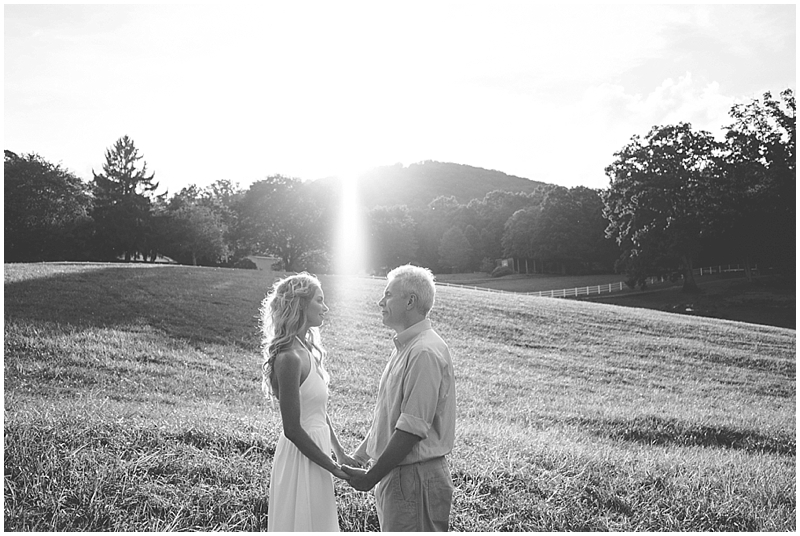 Oh my goodness… Jill and Dave… where do I even start with these two??? 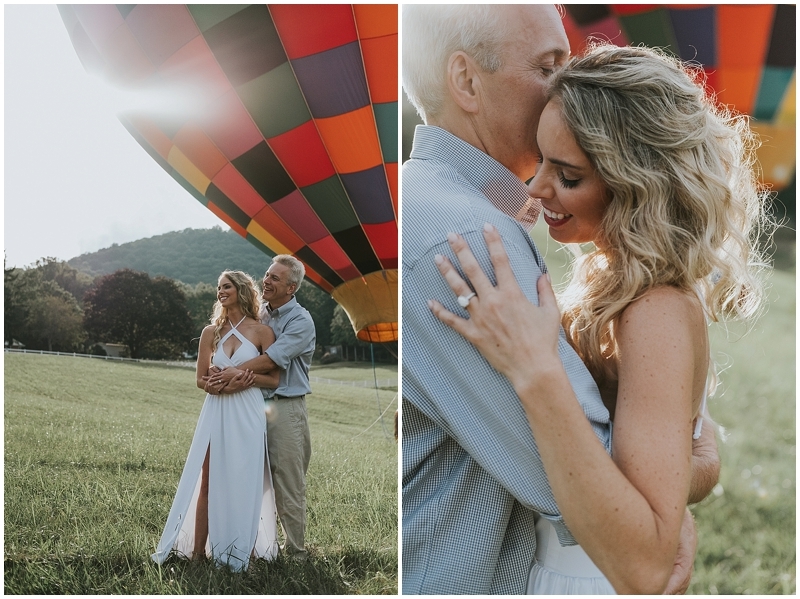 Jill and Dave had hired me to photograph their gorgeous wedding last year at The Homestead Resort in Virginia (photographed through my sister company, Hartman Outdoor Photography). 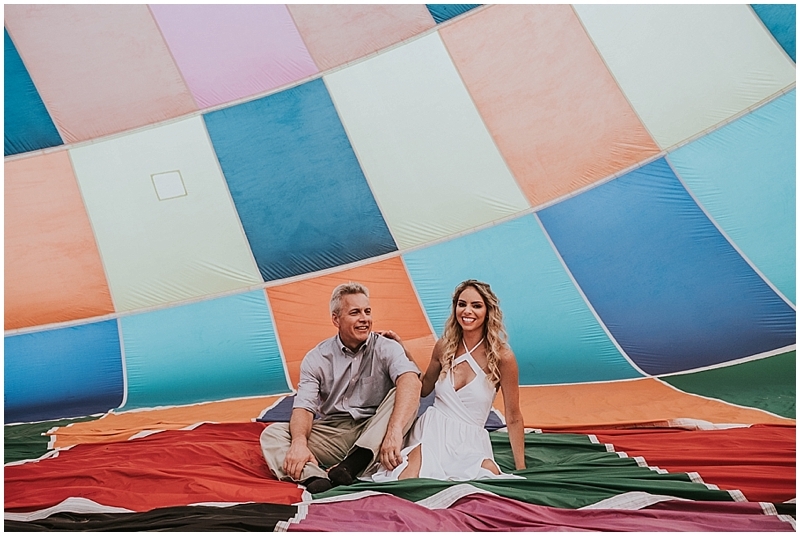 While planning, they wanted to do an engagement session. 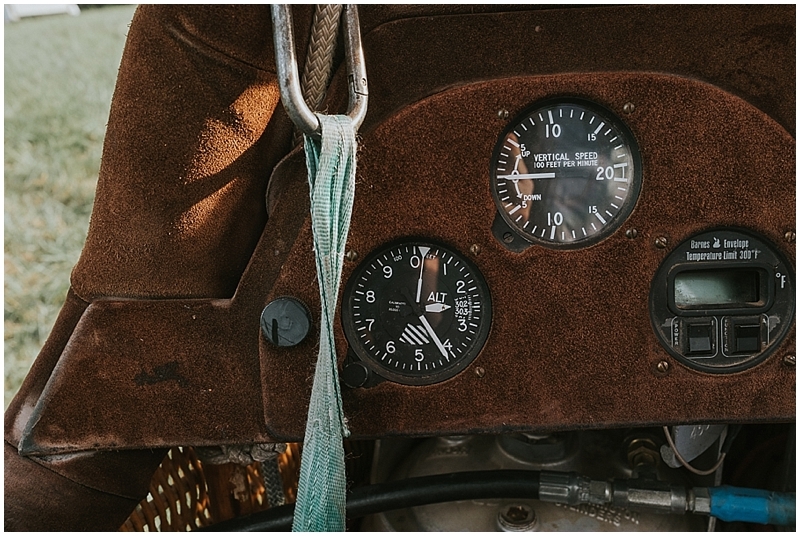 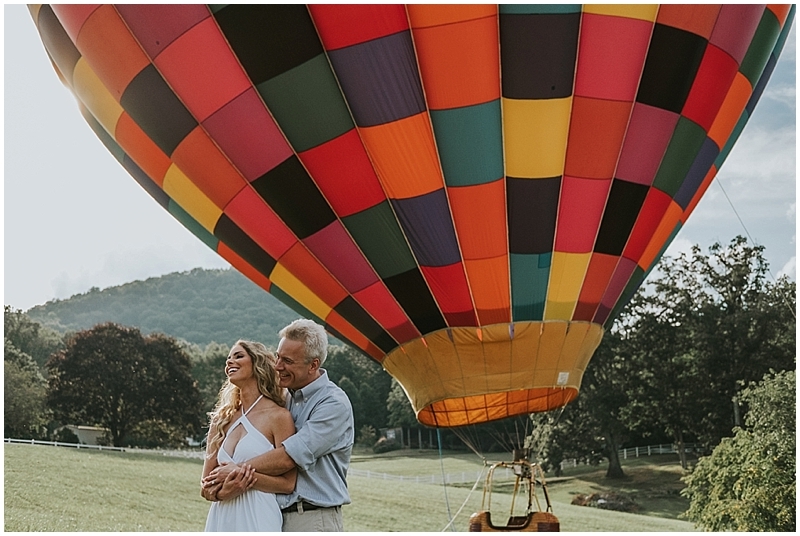 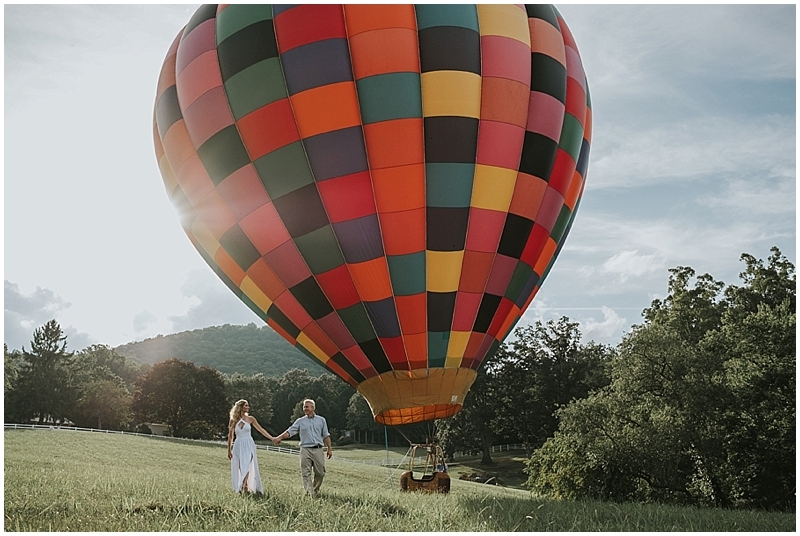 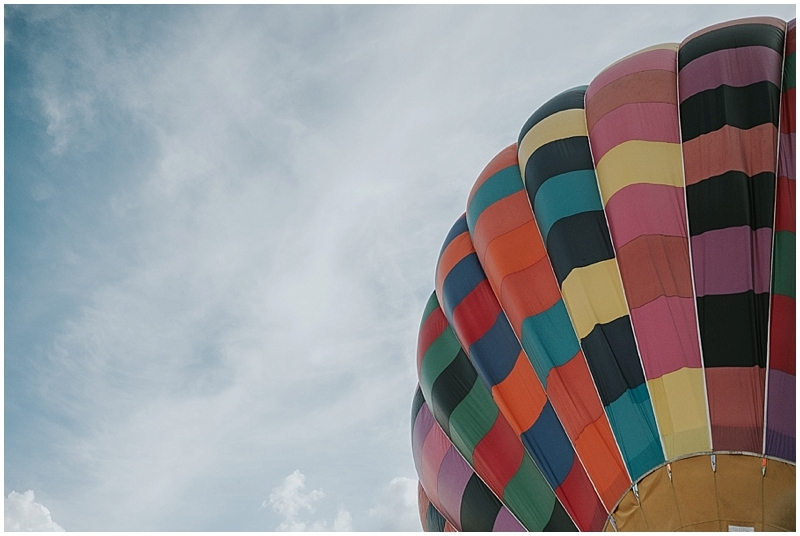 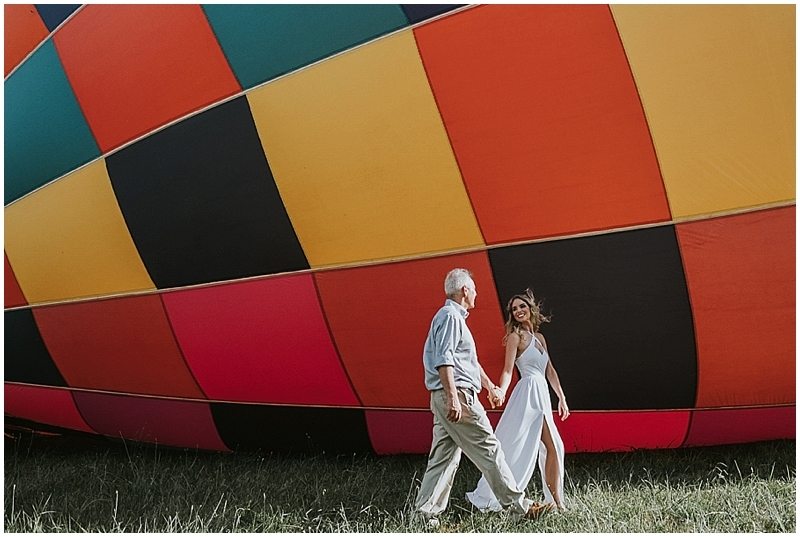 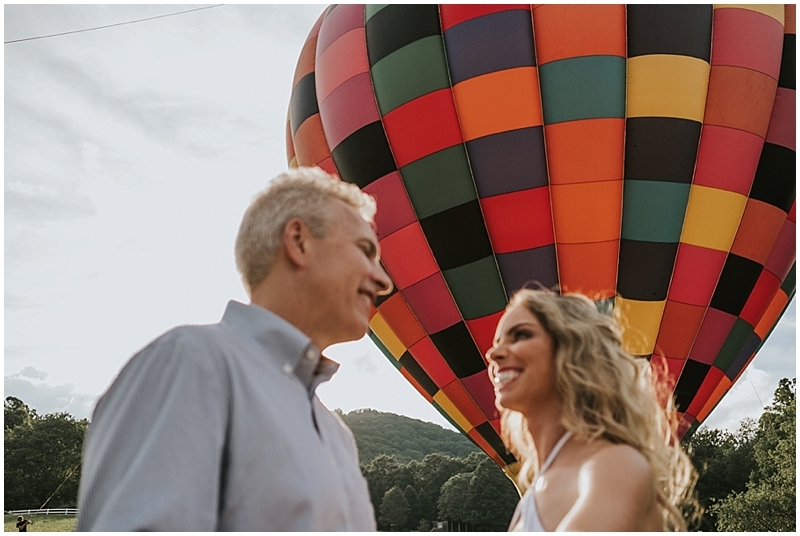 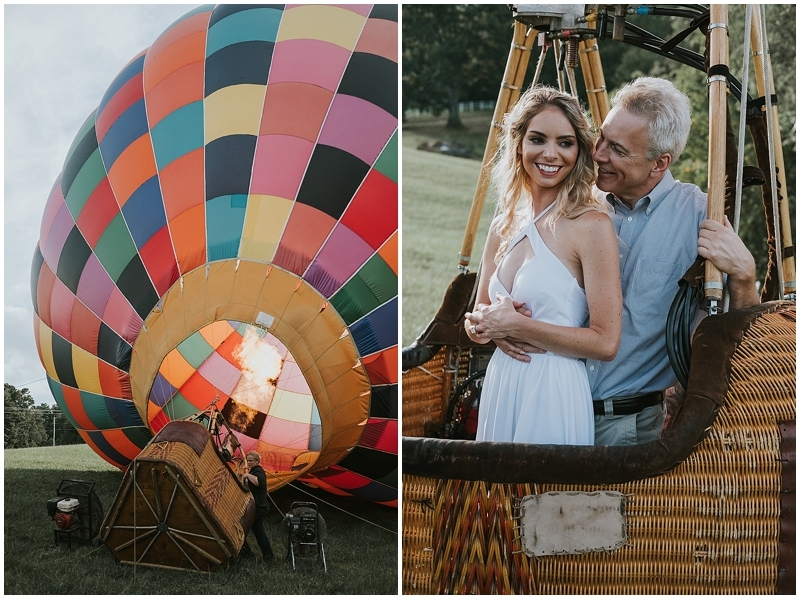 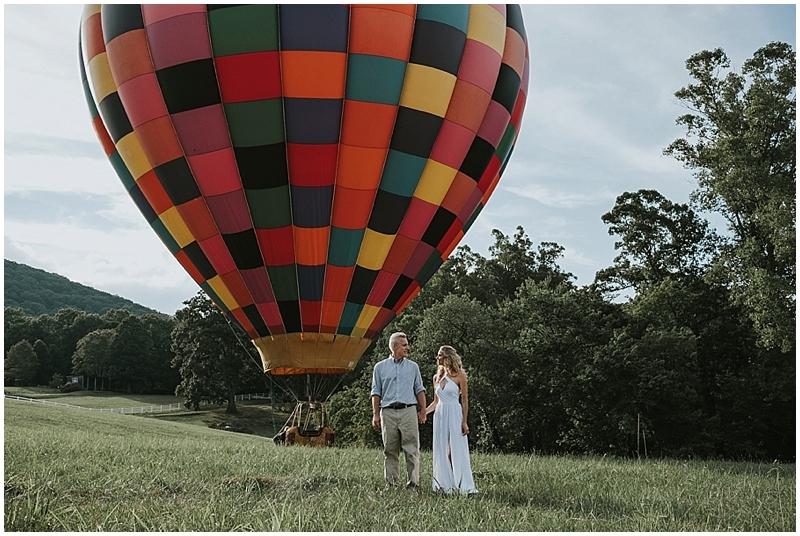 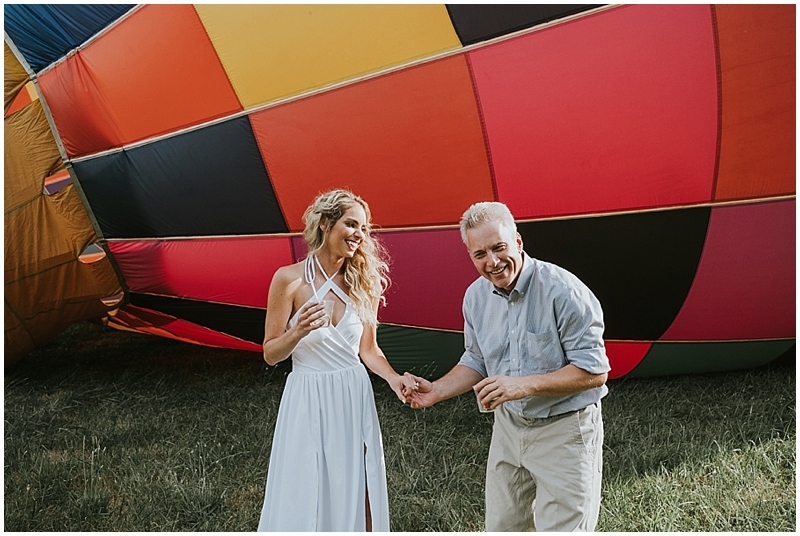 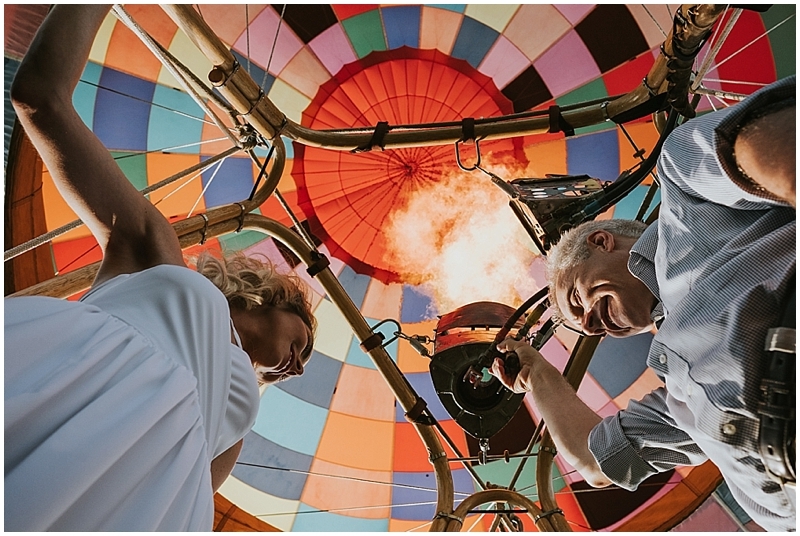 And of course, they decided on not just any regular engagement session… they wanted it with a hot air balloon! 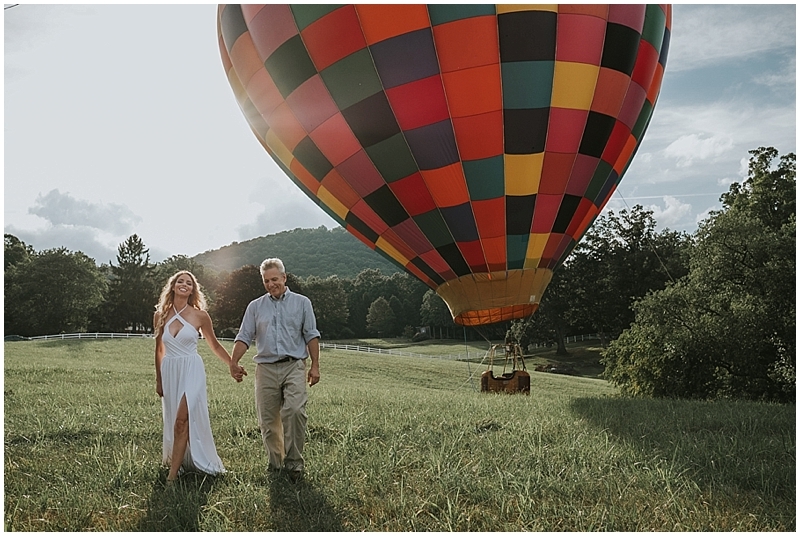 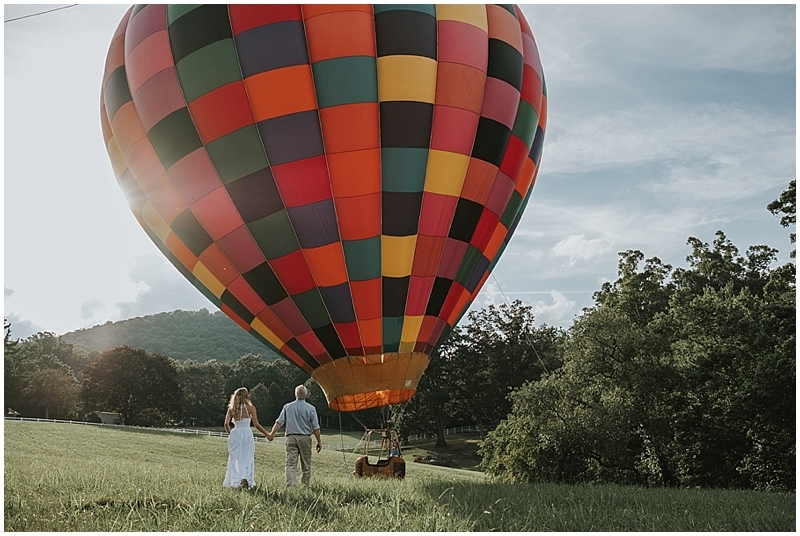 In the course of their dating, Jill and Dave had taken a trip to Napa Valley where they had enjoyed their first hot air balloon ride together. 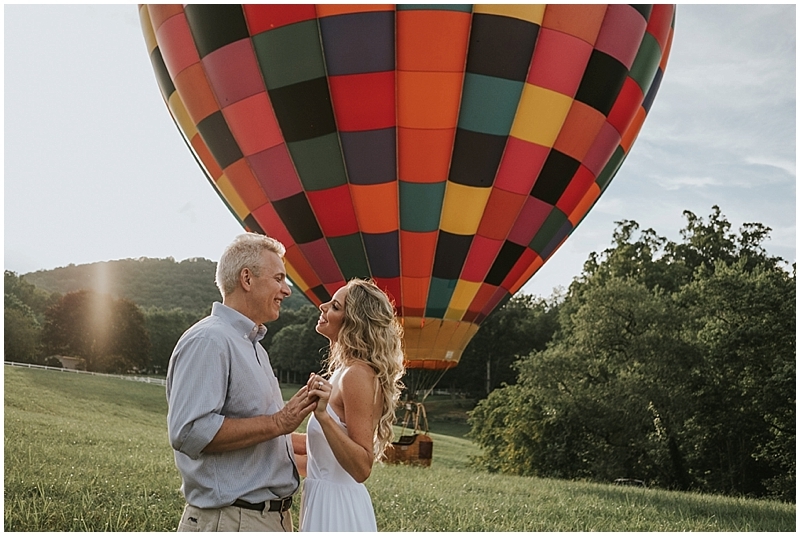 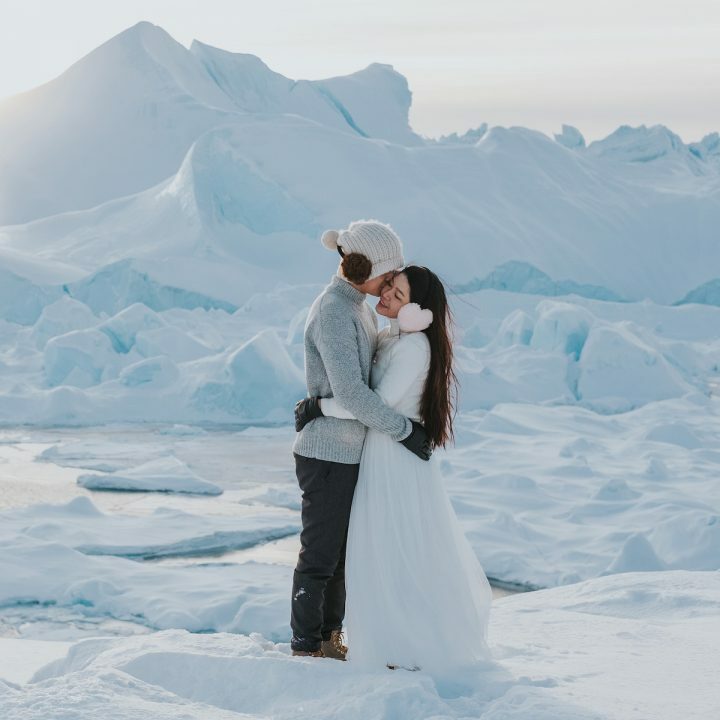 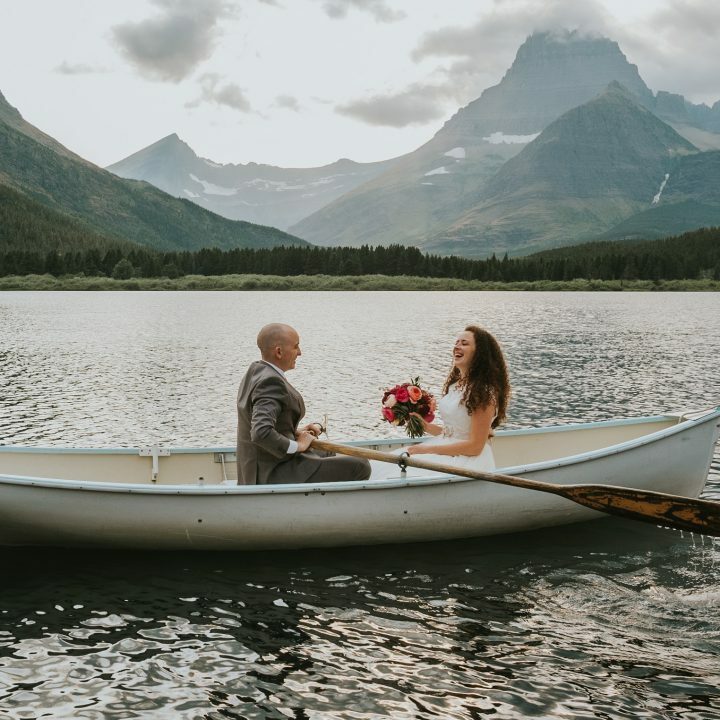 In thinking back on these romantic memories, these two decided they they would like to incorporate all that magic into their engagement session. 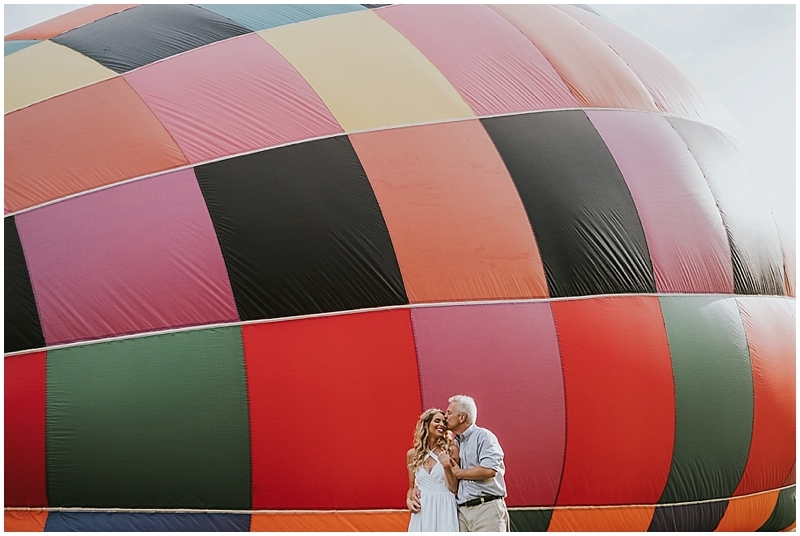 At first, there was talk of actually going UP in the hot air balloon. 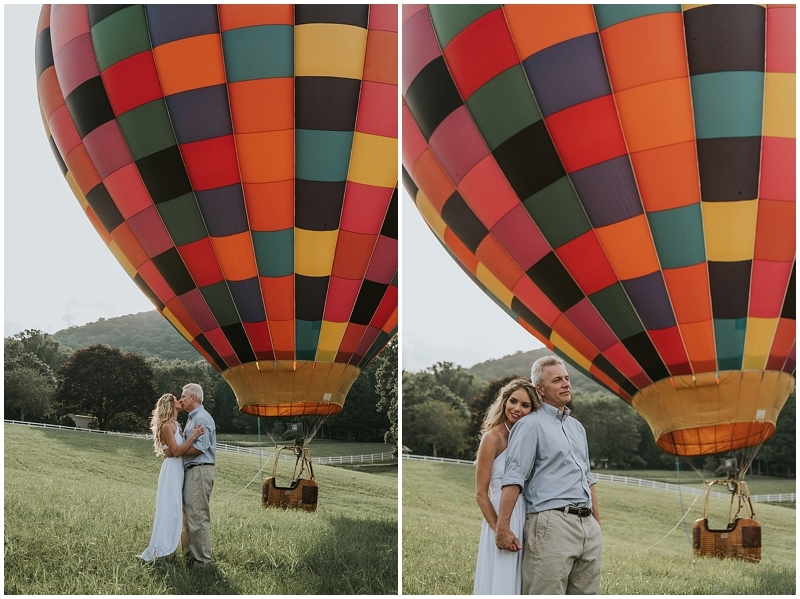 But in the end, we decided that keeping the hot air balloon tethered would be the easiest idea photographically at least. 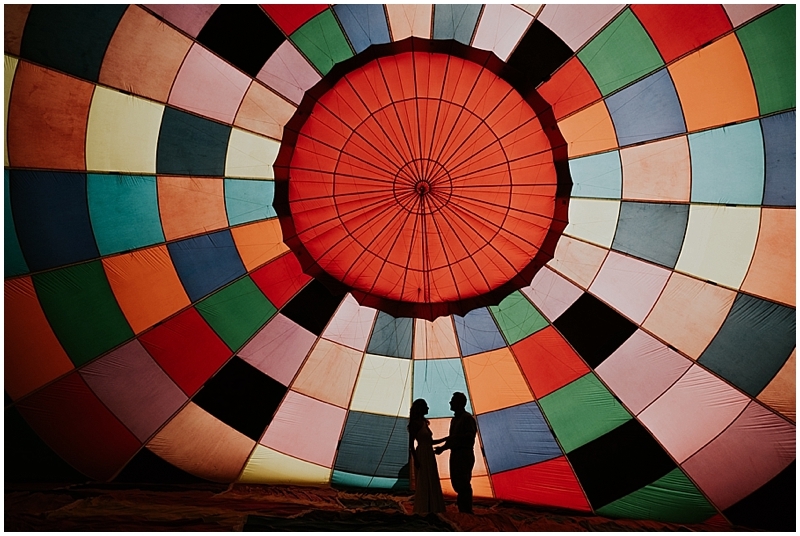 Being able to go inside of the inflated balloon was so magical- as was just watching it float around us in the field. 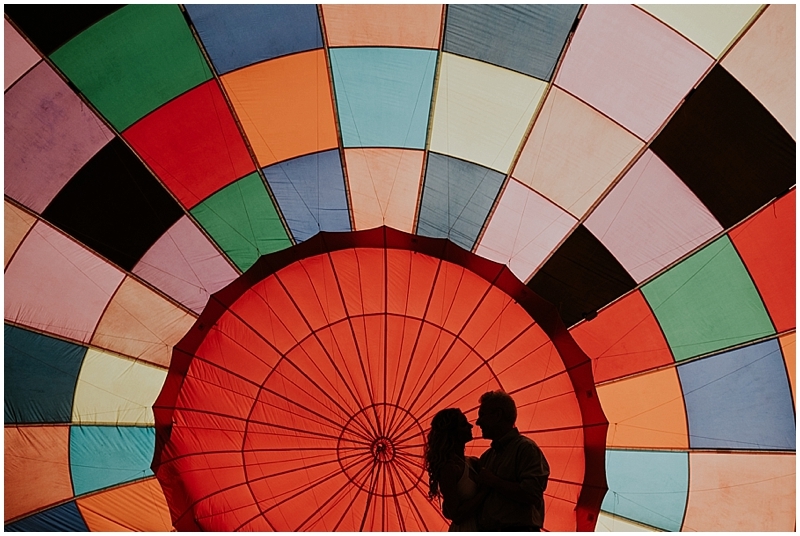 I am just totally in love with all those COLORS! 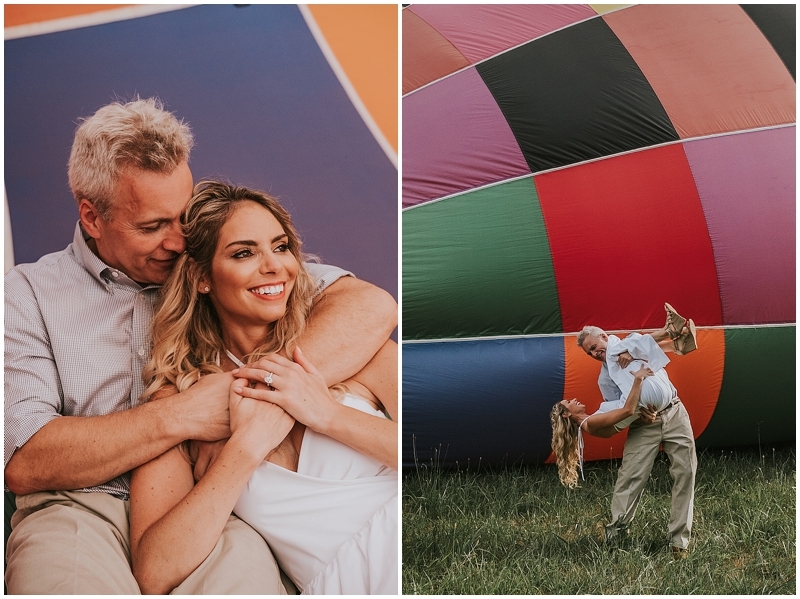 I never realized how much could be done with a hot air balloon in a photography session. 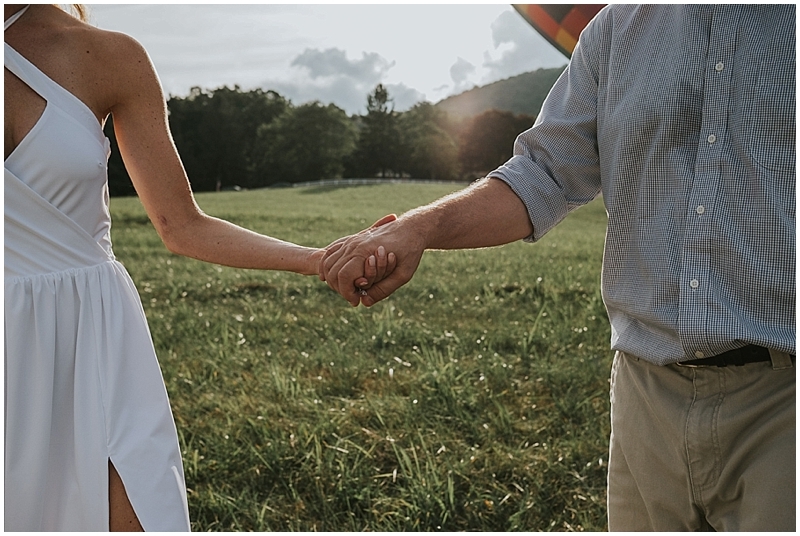 It doesn’t hurt either that Jill and Dave have the most incredible chemistry. 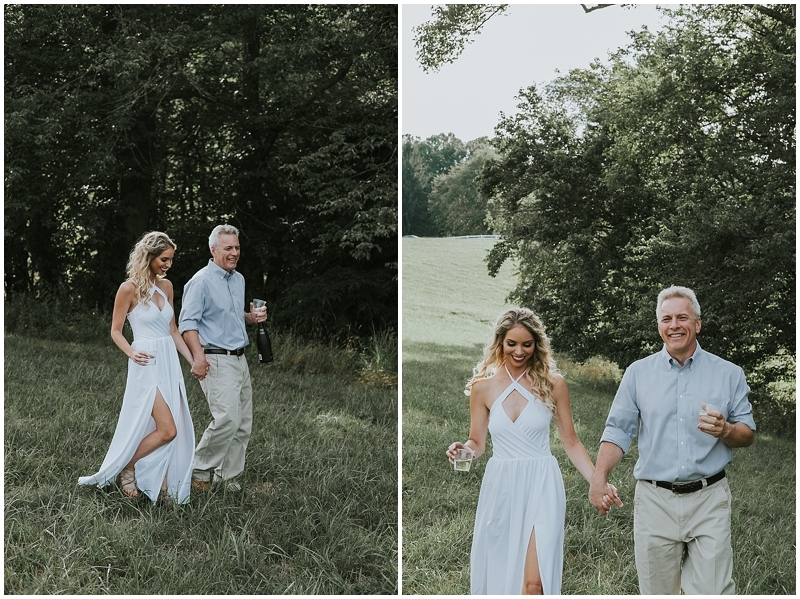 They enjoyed sipping some champagne and made each other laugh the entire time. 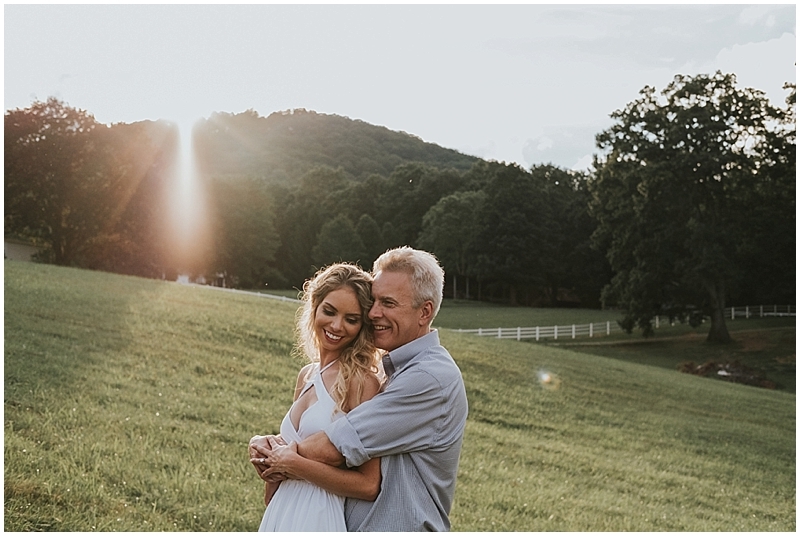 We ended the session with a beautiful golden sunset over the hills. 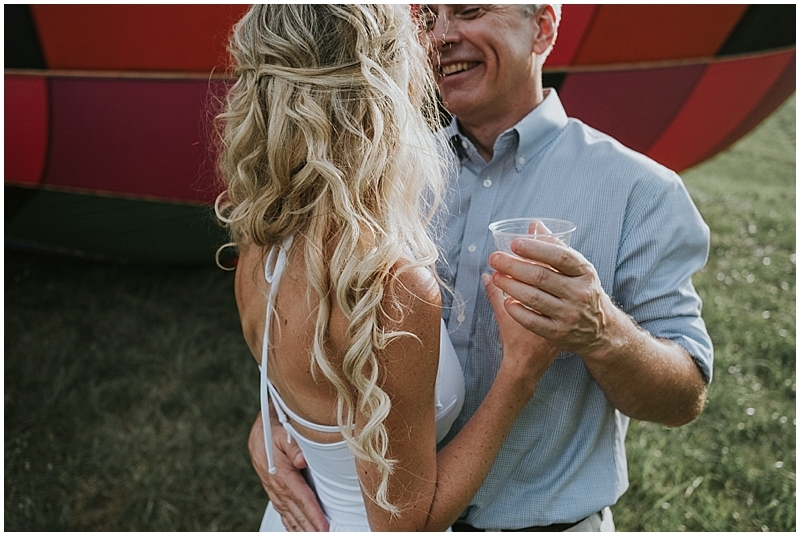 These two have just enjoyed their one year wedding anniversary, but I love this session too much not to share the pictures. 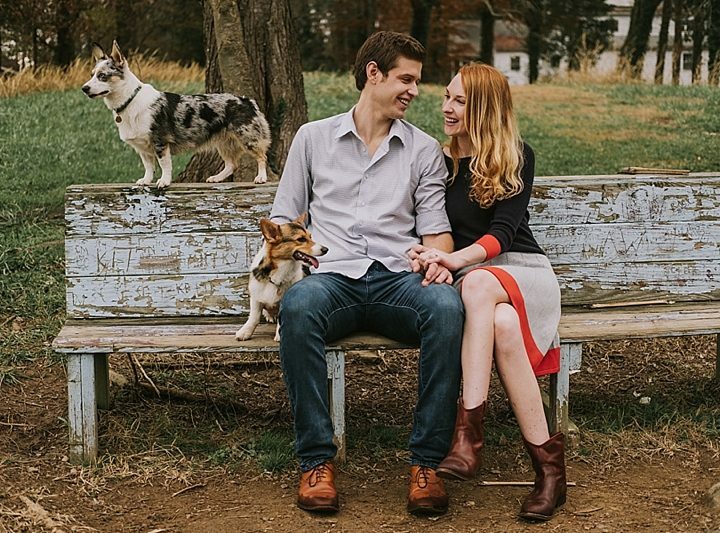 Better late than never, right? 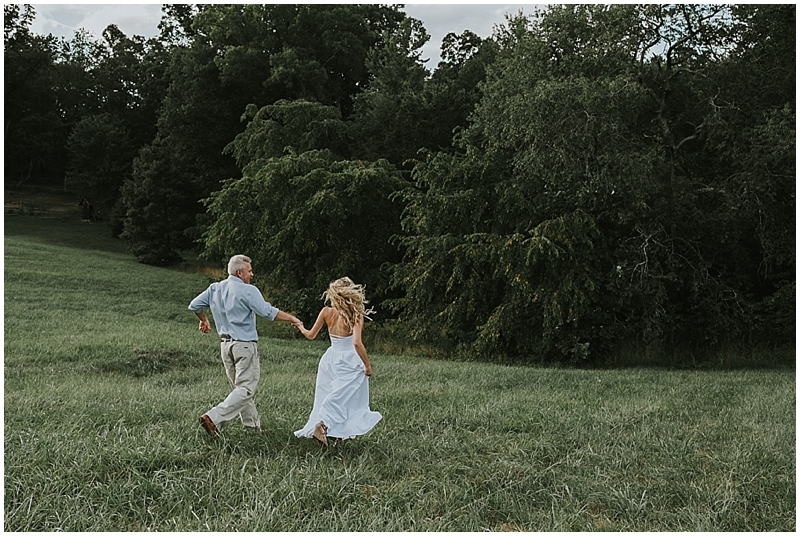 Wishing these wonderful people many more years of joy and laughter! 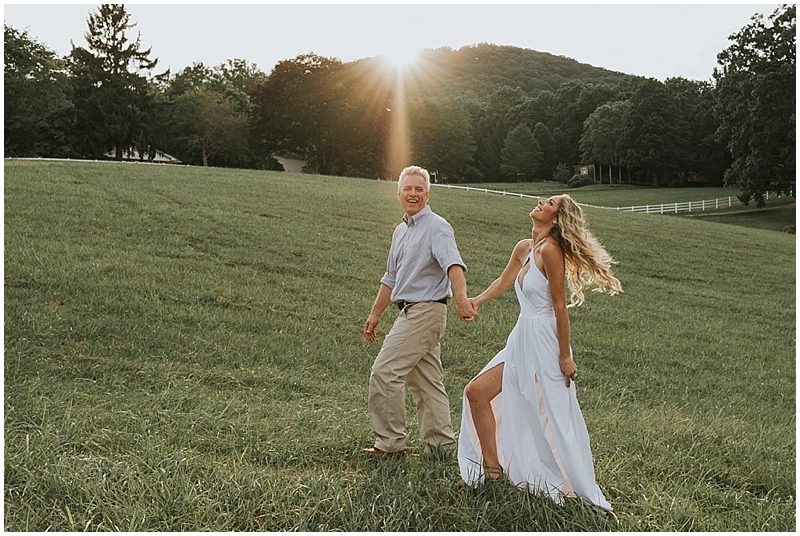 Copyright © 2019 Michelle Elyse Photography.